Whipple Procedure Surgery for Pancreatic Cancer: Whipple Procedure is a type of pancreatic surgery performed by the pancreatic cancer surgery specialist, Dmitri Alden, MD and his world class team, for tumors and other conditions located in the head of the pancreas. It has a very high success rate. The NYC pancreatic cancer surgeon usually begins by extensive abdominal exploration to rule out tumor spread beyond the pancreas that was not detected by preoperative imaging studies. When the oncological surgeon suspects the tumor may have spread, this step is performed using a minimally invasive laparoscopic approach. This surgical approach allows patients a quick recovery and early access to chemotherapy and other treatment such as radiation, in case the surgeon determines that surgery cannot be completed at this stage. 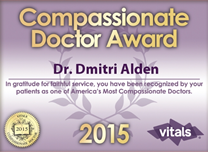 Patients and medical professionals from America and around the world seek out Dr. Alden’s specialized best in class individualized surgery treatments and services including his expert surgical management of the patient’s condition. Once the surgical team decides to proceed with the Whipple procedure to remove the pancreatic cancer, a large open incision is made. This pancreatic cancer surgery procedure involves multiple steps and generally takes 4-5 hours to complete by the surgical team. The operation consists of removing the head of the pancreas, part of the bile duct, the gallbladder, and part of the intestine called the duodenum, which is attached to the head of the pancreas and shares its blood supply. Depending on the surgeon’s choice and intra-operative circumstances, the pylorus, which is part of the stomach, may or may not be removed. Studies have shown no difference in short- and long-term outcomes and complications regardless of whether or not the pylorus is removed. 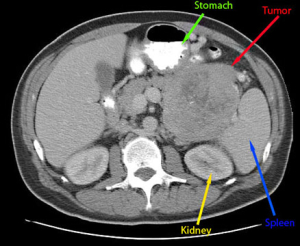 In some cases the tumor involves a short segment of the portal vein (a blood vessel located just beneath the pancreas that collects all the blood from the intestinal tract and spleen). Whether the tumor involves the portal vein is determined before the operation, and preparations for vascular (vein) intervention are made in advance. This step involves removal of part or all of the blood vessel. Depending on how much of the portal vein is removed, various reconstructions could be performed. They range from a simple repair to insertion of a synthetic graft or a blood vessel taken from the patient from another site, typically the neck or groin. The last step of the Whipple Procedure is reconstruction of the pancreas, bile duct, and the intestinal tract by the surgeon. This typically involves making 3-4 new internal connections: pancreas to intestine, bile duct to intestine, stomach to intestine, and intestine to intestine. This step is just as critical as the previous ones. Meticulous technical skills and experience (more than 14 cases a year per surgeon is considered the national standard for recurrent experience) play a critical role in outcomes. Once reconstruction is complete, 2 drainage tubes are inserted near the new connections and a nasogastric tube is inserted. The patient is typically transferred to the ICU once the operation is completed. Distal Pancreatectomy for Pancreatic Cancer: Distal pancreatectomy is a pancreatic cancer surgery procedure performed by the NYC Cancer Surgeon to remove tumors in the body or tail of the pancreas. In cases of cancer the spleen is typically removed as well, because its blood vessels are in direct contact with the pancreas and possibly the tumor itself. In cases of benign disease the spleen could be preserved, but this is not always possible. Preservation of the spleen depends on the vascular anatomy and other technical aspects of surgery. If the spleen is removed, then the patient is given 3 vaccines. The vaccines protect the patient from potential infection with 3 types of microorganisms called encapsulated bacteria (Pneumococcus, Meningococcus, and Haemophilus influenzae). The vaccination is necessary and must be repeated every 3 years. Distal pancreatectomy has been on the forefront of procedures amenable to minimally invasive surgery. More and more surgeons are gaining experience in performing this procedure using laparoscopy. We have been using laparoscopy for distal pancreatectomy for the last 9 years, but nowadays we perform this procedure almost exclusively with the da Vinci robotic system. The fundamental difference between this surgery and a Whipple procedure is that no reconstruction is required once the tumor / cancer has been removed. This procedure, although extremely challenging for the surgical team, is much easier on the patient and generally the recovery is faster. Most of our patients are discharged home within 48-72 hours after distal pancreatectomy, but some are home the very next day.